Test the top load, friction and tearing strength of your packaging. The TA1 texture analyzer can be configured as a dual texture analysis and packaging testing machine by changing the fixtures. Many food products are packaged in flexible packaging, which can be tested for its tensile strength, puncture resistance, heat bond peel strength, tearing strength and coefficient of friction. 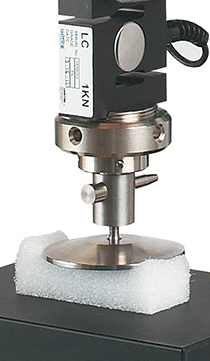 By combining the TA1 texture analyzer with our grips and fixtures for packaging testing you can perform tests such as tension, carton erection, friction, puncture and top loading.